A newly published study from MIT and Princeton University reveals that “grey swan” cyclones will become more frequent and intense over the next century. “Grey swan” cyclones — extremely rare tropical storms that are impossible to anticipate from the historical record alone — will become more frequent in the next century for parts of Florida, Australia, and cities along the Persian Gulf, according to a study published today in the journal Nature Climate Change. In contrast with events known as “black swans” — wholly unprecedented and unexpected occurrences, such as the 9/11 attacks and the 2008 financial collapse — grey swans may be anticipated by combining physical knowledge with historical data. In the case of extreme tropical cyclones, grey swans are storms that can whip up devastating storm surges, beyond what can be foreseen from the weather record alone — but which may be anticipated using global simulations, along with historical data. In the current paper, authors Kerry Emanuel, the Cecil and Ida Green Professor in Earth and Planetary Sciences at MIT, and Ning Lin of Princeton University simulated the risk of grey swan cyclones, and their resulting storm surges, for three vulnerable coastal regions. They found a risk of such storms for regions such as Dubai, United Arab Emirates, where tropical storms have never been recorded. In Tampa, Florida, and Cairns, Australia — places that experience fairly frequent storms — storms of unprecedented magnitude will be more likely in the next century. “These are all locations where either no one’s anticipated a hurricane at all, such as in the Persian Gulf, or they’re simply not aware of the magnitude of disaster that could occur,” Emanuel says. To date, the world has yet to see a black swan or grey swan cyclone: Every hurricane that has ever occurred in recorded history could, in retrospect, have been predicted, given the previous pattern of storm activity. 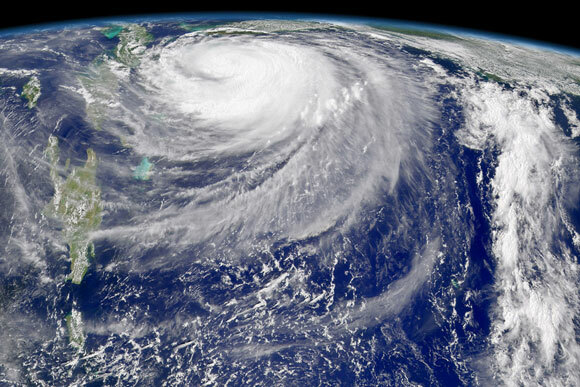 However, as global warming is expected to significantly alter the Earth’s atmosphere and oceans in the coming decades, the track and magnitude of hurricanes may skew widely from historical patterns. To get a sense of the frequency of grey swan cyclones in the next century, Emanuel and Lin employed a technique that Emanuel’s team developed 10 years ago, in which they embed a detailed hurricane model into a global climate model. For this paper, the team embedded the hurricane model into six separate climate models, each of which is based on environmental data from the past, or projections for the future. For each simulation, they generated, or “seeded,” thousands of randomly distributed nascent storms, and observed which storms produced unprecedented storm surges, given environmental factors such as temperature and location. From their simulations, the researchers observed that storm surges from grey swan cyclones could reach as high as 6 meters, 5.7 meters, and 4 meters in Tampa, Cairns, and Dubai, respectively in the current climate. By the end of the century, surges of 11 meters and 7 meters could strike Tampa and Dubai, respectively. To put this in perspective, the last big hurricane to hit Tampa, in 1921, produced a devastating storm surge that measured 3 meters, or about 9 feet high. Emanuel says that Dubai, and the rest of the Persian Gulf, has never experienced a hurricane in recorded history. Therefore, any hurricane, of any magnitude, would be an unprecedented event. The team also found that as storms grow more powerful in the coming century, with climate change, the most extreme storms will become more frequent. The team’s results show that the expected frequency for a grey swan cyclone with a 6-meter storm surge in Tampa would fall from 10,000 years today to as little as 700 years by the end of the century. Put another way, today Tampa has a one in 10,000 chance of being struck by a devastating grey swan cyclone in any given year — odds that will remain the same next week, or next year. But in 100 years, Tampa’s odds of a 6-meter storm surge will be 14 times higher, as the world’s climate shifts. The group’s estimates of extreme storm intensity, while high, are not unrealistic for the coming century, says Greg Holland, senior scientist at the National Center for Atmospheric Research. 1 Comment on "“Grey Swan” Cyclones Will Become More Frequent and Intense"
Yeah… and in two thousand years, storms will be so intense that they will reach far inland and destroy desert and rebuild glaciers, which they have been unable to do for ten to fifteen thousand years. Stay tuned for the eleven O’clock report, when we tell you which household items are actually deadly and only laying in wait to kill you.